Roedel Parsons is a comprehensive law and government relations firm. Over its 30 years, the firm has grown to include over 30 attorneys with offices in Baton Rouge and New Orleans. What are some advantages of being located/doing business in the Capital Region? Being close to state government is a big advantage. So many of the opportunities in Louisiana run through state government. Also, the growth of the region provides an opportunity to be involved with new clients and new client projects. Why did you decide to invest in BRAC? BRAC is a positive, active force in the community. Its ability to bring an effective economic development message to issues is vital for the future growth and prosperity of the region. What would you say to companies contemplating joining BRAC? Help do your part to support this region and join the leading economic development organization. The Baton Rouge Area needs a host of strong leaders to drive its growth and development. BRAC consists of those community-minded leaders and companies – so get involved! What do you anticipate for your company in the next five years? For the Capital Region? I anticipate the Baton Rouge and New Orleans regions will continue to grow over the next five years and with that growth the SoLa Super Region (Baton Rouge and New Orleans) will develop and compete for business with other super regions across the country. Our firm is positioned to follow this growth and meet the legal and government relations needs of those in the region. BRAC is an investor-driven organization leading economic development in the nine-parish Baton Rouge Area. BRAC’s investor base includes small businesses, midsize firms, large industry and entrepreneurial startups, as well as other individuals and organizations. 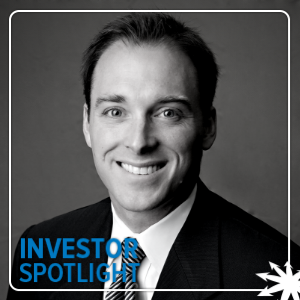 Each month, BRAC highlights one of its investors in the Investor Spotlight. To learn more about becoming an investor, visit the Join BRAC page or schedule a meeting with BRAC’s Investor Development and Relations team.